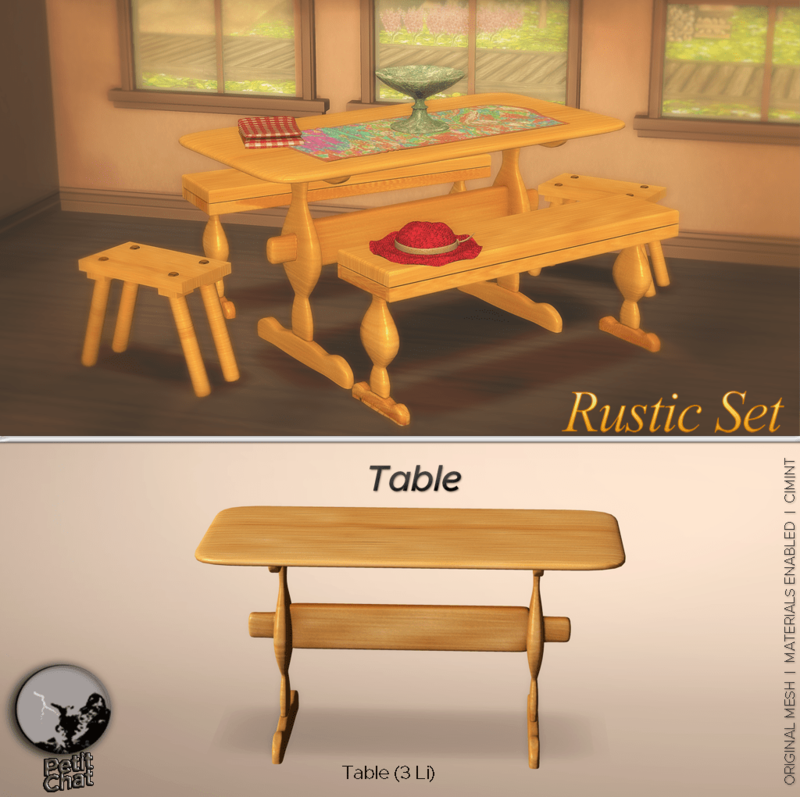 We are joining the Versus Event this month and we did created the “Rustic Set” for it. 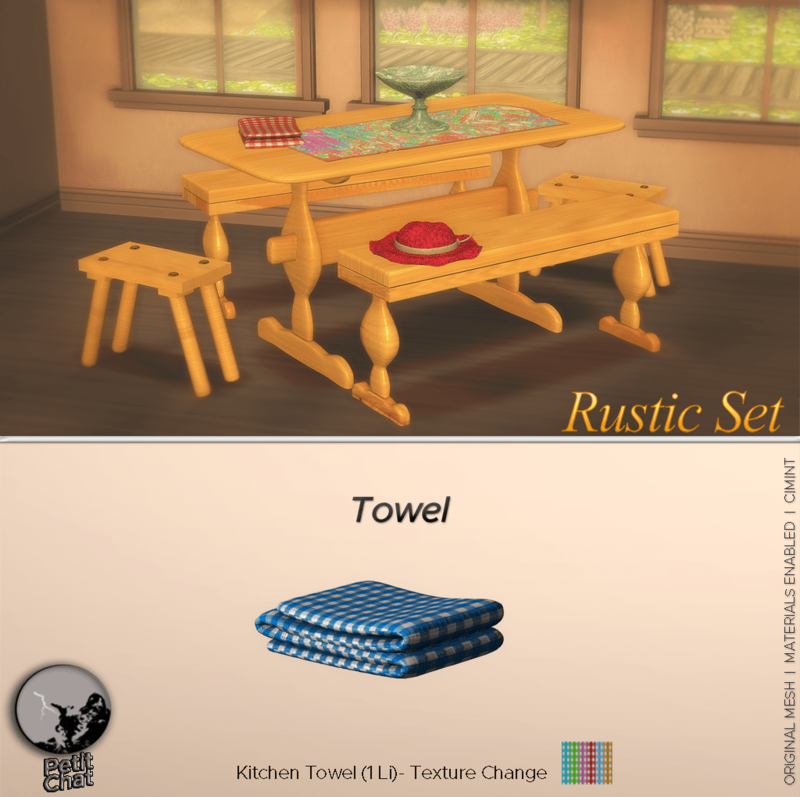 Perfect for your little cottage away from it all! 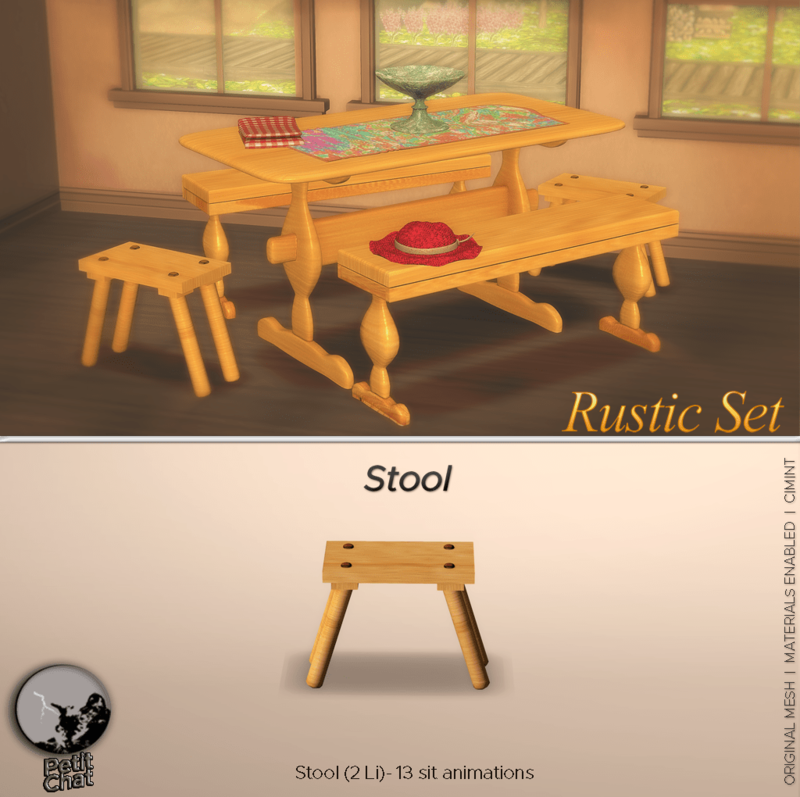 The Rustic set looks just right for that setting or any other. 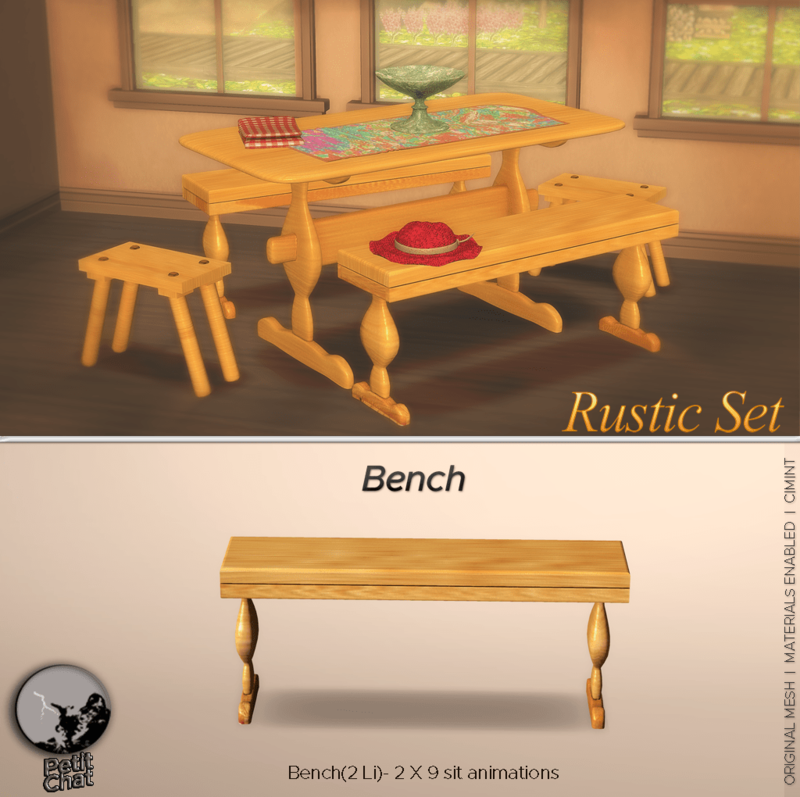 With it’s little extra touches it can add a homely feel. Remember that old saying…”where ever I lay my hat, that’s my home”? 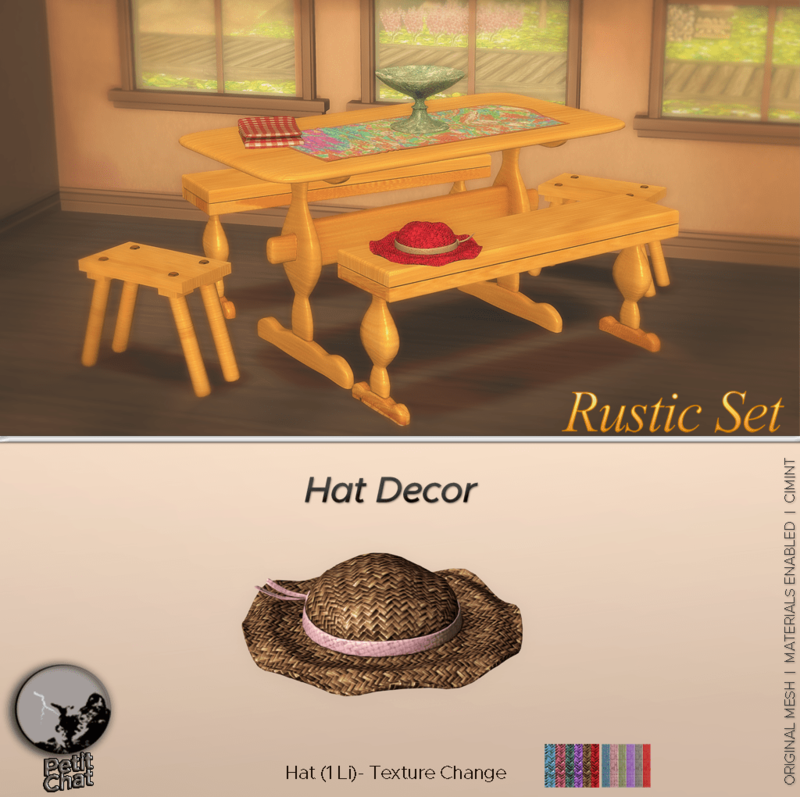 Put you straw hat down on the table and you’re home. 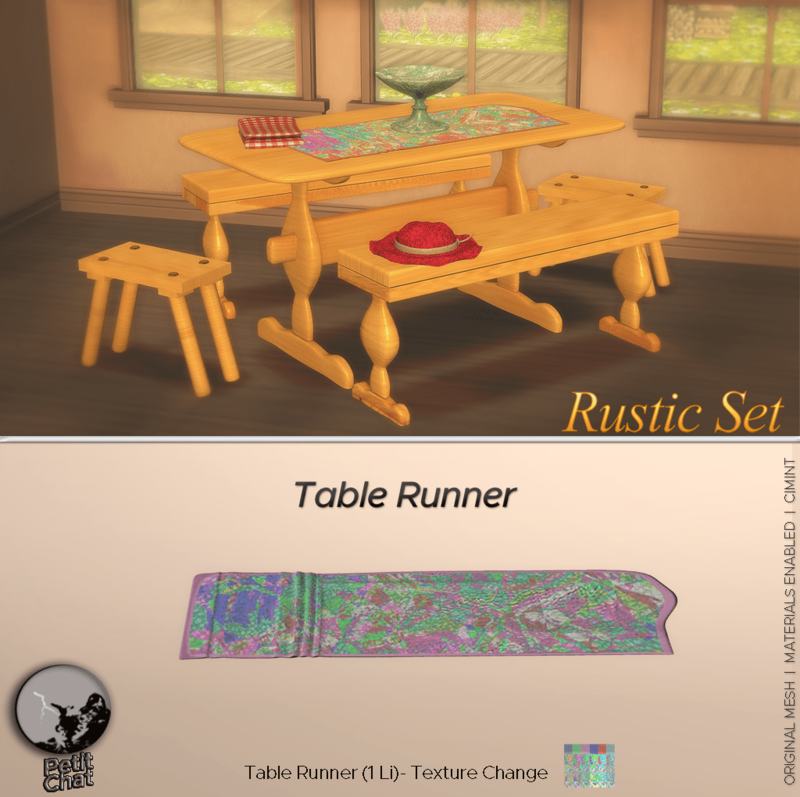 Available as a full set or separately. 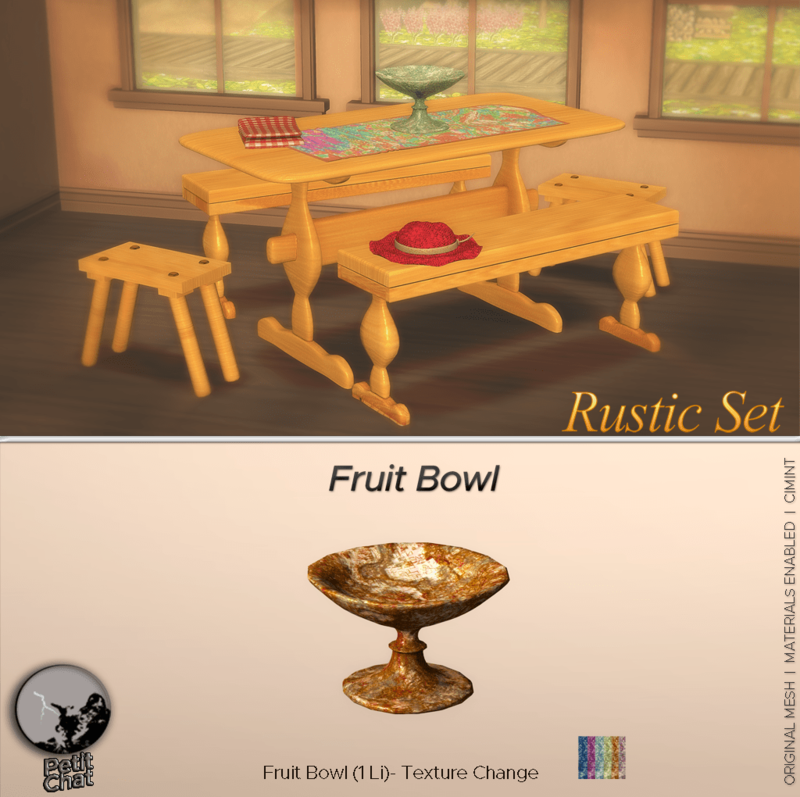 Decor pieces (Fruit Bowl, Hat, Table Runner, Towel) are 45 L$ each. It open on Feb 1st till the end of the month.